translated means "and that's that", or "there it is". There have been additional details published of the suicide of Benjamin Mondragón Pereda, a leader in the Guerreros Unidos Cartel and one attributed directly of being an author of the normalista killings. The man known as, 'El Benjamon', shot and killed himself to culminate a confrontation with federal agents. Prior to his suicide, Mondragón, a plaza chief, negotiated with agents to allow his pregnant girlfriend, Bertha Paco Lopez, to safely exit the home. She was barricaded in home with him and two others. Officers granted his request. It was the morning of Tuesday 14 October. 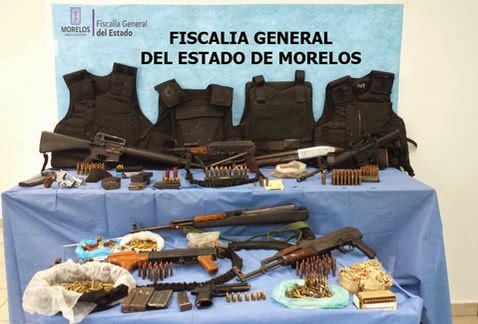 Federal forces had located the narco in a modest home in the San Gaspar the municipality of Cuernavaca, Morelos. They mounted an operation to capture the leader who had been operating in both, Morelos and Guerrero. 'El Benjamon' or 'Tio' discovered the presence of the elements and immediately began shooting. Federal forces and the suspect exchanged gunfire. During the confrontation a sergeant, was injured from gunfire. The shooting stopped and the suspect negotiated with officers to allow his girlfriend out. The 35 year old woman, originally from Guerrero left the modest home, and was safe, at that time, Mondragón shouted that he was going to shoot himself. In high drama, Benjamin poked his head through one of the windows of the house with a gun pointed at his head, and shouted "Ahi se ven", said National Security commissioner, Monte Alejandro Rubido, in a press conference, and he then shot himself in full view of agents. 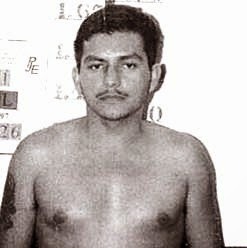 Arrested in the operation were Samuel Mondragón Antunez, 26, and Edgar Antonio Mondragón Morales, 24, both are nephews of 'Mondragón. The two men were also involved in the shootout. Inside the home which were found rifles, two r AR15 four AK47, 12 gauge shotgun and two pistols, 9mm and .38 special. Why has there been such a decrease in narco news lately? I know EPN stopped doing the interview videos, but why have the citizens stopped sending in info and videos? Worries me alot! It is my opinion that those who govern Mexico use the war on drugs as a shield to conduct a dirty war against indigenous peoples and other undesirable segments of society. 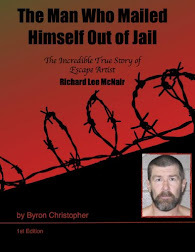 Criminal organizations are superb scapegoats. Ahi se ven translates to "you're visible". I'm thinking the cops were hiding so he said, "Ahi se ven" or "I can see you". Literally. Colloquially Chivis nailed it. Hay se ven it translate you can be seen there. But that's not the way people use it in Mexico. We use it as I see you latter.
! 11:19 ...there is no absolute translation, it is a saying, I was going to write "that is that" or something similar but asked an English professor in DF, who said my choices were good or "there it is". She said in the context of the story both were good choices. I hope more of these losers kill themselves. Just like El Tiburon (AFO) He called Benjamin Arellano for the last time n said, ME TOCO PERDER! n shot himself. Lot of people think its the wrong way of going but in the end they know what lies ahead, so why suffer when it just takes 1bullet to end all of? --but they will never be as expensive as you, you stole my heart!!! That's like saying, "see you guys, I'm out". ahi se ven. there is not direct translation to that. its spanish farwell phrase like ahi nos vemos or ahi nos vidrios. Too bad for the unborn child who will never see the father. Or perhaps, maybe it was the best thing that could have happened being that dad was a first class loser. All them cartel scum should take note, see this a-hole's departure as an example, do the world a favor, and put a bullet in their head. "WHOOP ! There it is"
Bye bye scumbag! Now get rid of a few thousand more punks and Dirty cops and politicians! Its just a saying. Its "you guys deal with it". "Ahi se ven ustedes". Kind of like saying you handle it. After living in Mexico and being involved with different business ventures that were in the gray area to say the least one thing becomes clear. If you come from a home with money then you live and thrive. If you are poor, then you get killed or disappeared, for mostly small offenses. The expression holds a significant meaning in Mexico to me and it goes "laws are like spider webs, the weak get stuck and cannot get out, the powerful rips right thru the web" Mexico is no democracy, it is a oligarchy. what English speakers would refer to when saying something is finished or over. the other suggestions, sound awkward for a man ending his life. "I can see you". he isn't playing hide and seek, you guys deal with it is almost as bad. Remember it has to translate with meaning that makes sense, and yours does. To the willis saying I should ask a spanish teacher not english teacher. 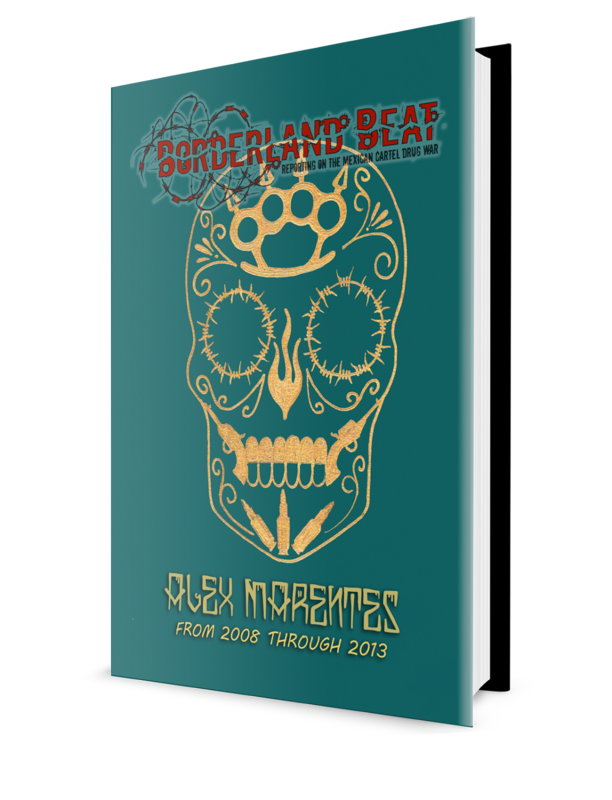 I am wiring in English not Spanish I need one that knows terms (idoms colloquial etc) in both languages. Not Spanish. I am satisfied of what I wrote. I will not post any further pros or cons on the terms. I gave all the variables. The only reason I posted it at all was many readers questioned his suicide, but it was done in front of his family and girlfriend. Awesome. Christmas comes early. I thought narcos killing each other was a miracle now they kill themselves. Hopefully more of these losers self-destruct. Did reports say if the girlfriend witness the suicide? Thanks for the article Chivis. I know you won't miss the assholes on this website. I am hoping it will continue. 7:56 that right she won't miss you! Hola Chivis, bad news. They found the body of Aldo Sarabia, from Banda el Recodo, beaten and shot in the throat. R.I.P. In guerrero maybe ahi se ven, means ahi se arreglan, you are on your own, you work it out, goodbye! Some of you whining pendejos need to say "Ahi se ven" to commenting on BB.